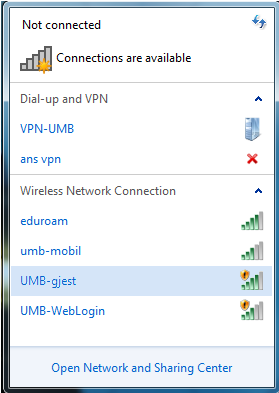 Choose the “nmbu-guest” network, in the list of available networks. Open a web browser. Ex. Internet Explorer, Firefox etc. You will get a password sent to your cellphone. This entry was posted in IT-documentation and tagged Guests, Wireless on January 13, 2014 by Henrik Michelsen.